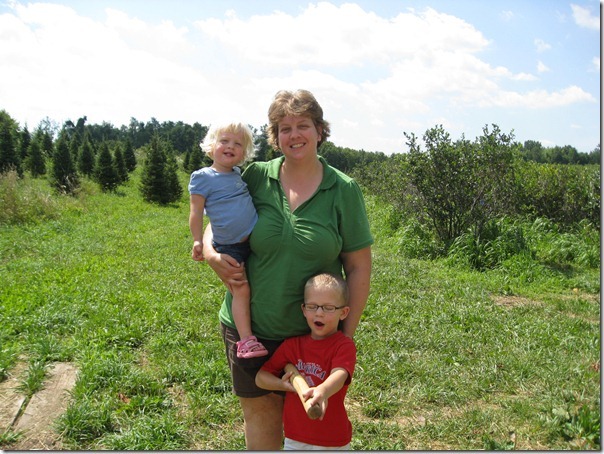 U-Pick Wintergreen Tree Farm–Mantua (take 4)–more blueberries! Yesterday, we returned to Wintergreen Tree Farm for the 4th and probably final time for blueberries this season. Even though my freezers are bursting with blueberries, I can’t seem to get enough of them. We ended up staying there for 3 hours. This was the longest that the kids had lasted for picking anything all year. 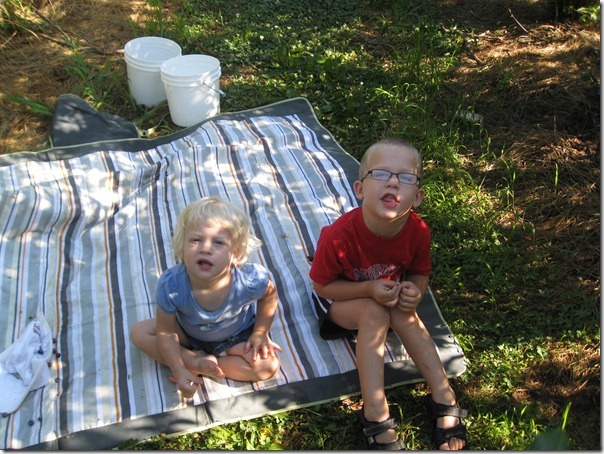 They started out playing on the blanket (after eating a few blueberries). 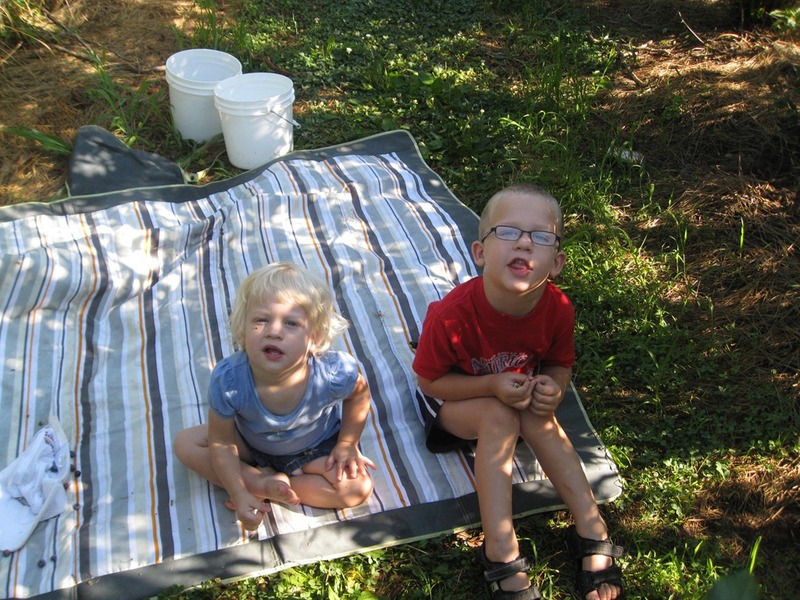 After they got bored with the blanket, they walked around, picked a few berries and hung out. For a few minutes, I thought I was going to get tired before them. I knew I had picked a lot of berries when I needed to use one of their buckets for the rest of the berries. The picking was pretty good, but a good picking day is a mix of weather, farm, cost, drive, amount of fruit available, temperament of the kids, etc. Yesterday was definitely one of the best days yet! Back at the shed, we talked to Julie for a few minutes. 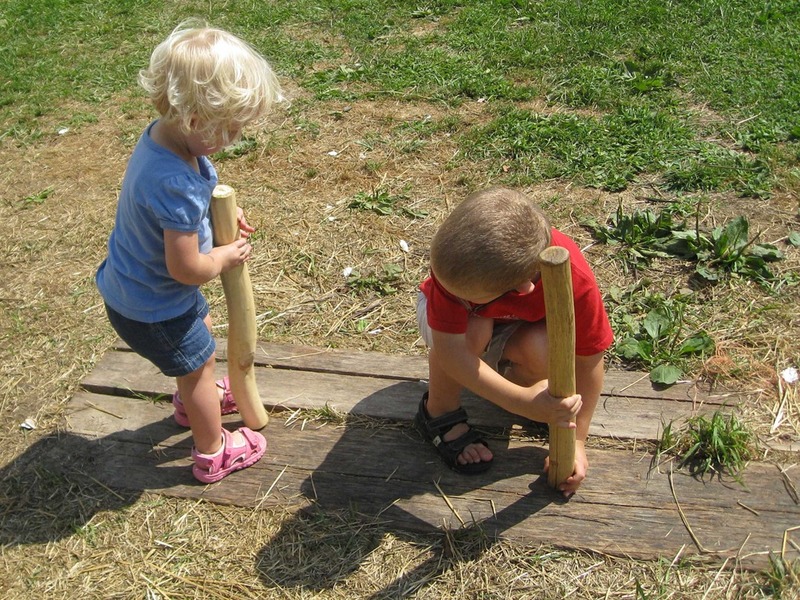 Sometimes, she balances these wooden sticks while she is working at the shed. She let Nick and Sally play with them. I was glad they didn’t hit each other, but we had a couple of close calls. Julie took a picture of us together. It’s nice to remember to get group photos. 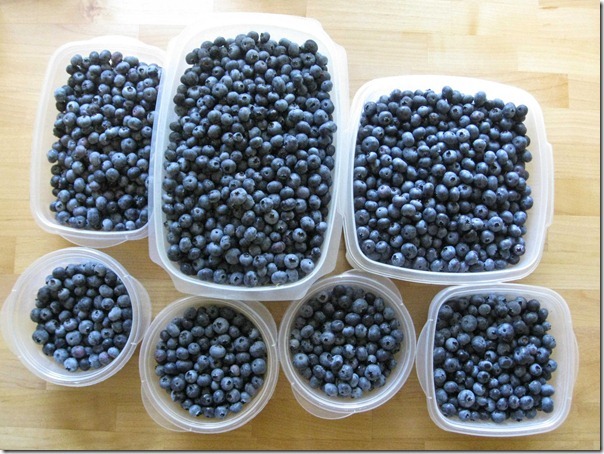 We ended up with 12.6 pounds of blueberries for $18.95 ($1.50 per pound). It was the most we had picked in one day all season. We’ve had blueberries, blueberry muffins, blueberry pancakes, and blueberry oatmeal. I’m glad that we’ll have some in the freezer to enjoy for a few months. Blueberry season is winding down. We ended up picking 7 times at 4 different farms. We kept going back to Wintergreen and are already excited to see what chestnuts are all about later in the year. Meanwhile, blackberries are next and should be ready for picking next week.